BookLust: TSS: Is that book a Pamela or a Shamela? TSS: Is that book a Pamela or a Shamela? Well, it has been a very long time since I have done a Sunday Salon post. Mostly because I didn't have much to say, but also because I was out of the country. But now I have an idea for a group of themed Sunday posts to share with you all for... as long as I can think of posts that go with the theme. I shall start that next week, unless I forget to do so. In which case, I shall start it on a different Sunday. But back to today's post! First, did you know that we have chosen another small press for the Spotlight Series? 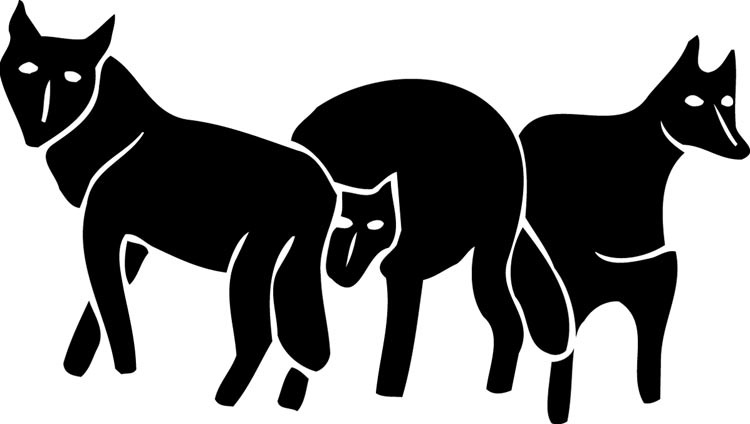 We are highlighting Graywolf Press, which is a publisher in the great state of Minnesota! 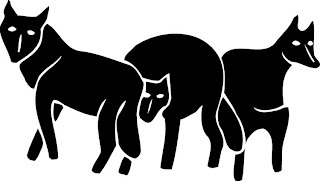 Not only is it a fabulous small press that focuses on poetry and works in translation (among other more traditional book types), but it's also a non-profit publisher! So if you participate in this series, you will be doing good twice over. First by giving attention to a small business, and then by helping out a non-profit! A win-win, isn't it? So I highly recommend you mosey on over to the sign-up post by June 30th and get in on the action. The series will take place between July 18 and 31. Get pumped! Now to the bulk of my post! The other day on Twitter, I was discussing The Hunger Games, and then that led to discussion (however brief) of Twilight. I said that if nothing else, Twilight did give a lot of people the opportunity to practice satire, and perhaps some of that satire will live on as classic literature in the future, the way that Shamela did for Pamela. If you do not know the story of Pamela and Shamela, it is this. 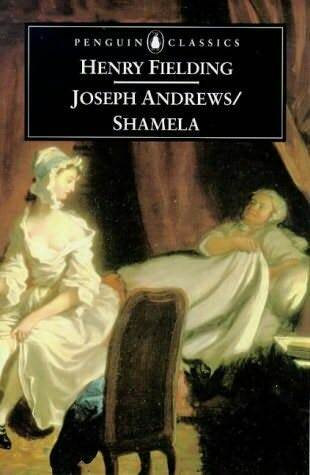 Pamela (heavy-handedly subtitled Virtue Rewarded), written by Samuel Richardson in the 18th century, is an epistolary novel about a serving maid who must keep her innocence and her wits about her while her lecherous employer tries to seduce her. This goes on for hundreds of pages of Pamela trying desperately to be chaste and virtuous while staying employed. Pamela was a huge hit in England when it came out. Everyone read it. Including the famous Henry Fielding, who did not understand what all the fuss was about. Fielding was so disturbed by the book's popularity that he promptly skewered it with satire, writing An Apology for the Life of Mrs. Shamela Andrews, (and then writing an even longer satire of it, Joseph Andrews), in which Shamela is not defending her virtue, but trying very hard to throw it away so that her master will marry her. And her letters are written in hilariously colloquial language (virtue = "vartue"). And now it is Shamela and Joseph Andrews that are the classics, and no one reads Pamela, even though it was so popular when it came out. Are there contemporary books that you can see in similar scenarios? Is there a book that's so popular out there, and you just don't get it? One that, were you a satirical genius like Henry Fielding, you would skewer with your mighty pen? What would it be? PS- Happy Father's Day to all the dads out there! Is it weird that I've heard of PAMELA but not SHAMELA? Hmmm... TWILIGHT's the obvious answer, of course, not because it's any worse than any other book out there but because there's so much hype surrounding it that it's already given birth to a ton of spoors and satires. I'm not sure how much staying power these have, though. Maybe something by Dan Brown or Stephen King? Both are incredibly popular authors whose work has been satirized--but again, I can't see any of those satires lasting down through the centuries. I was immediately reminded of Dan Brown. I can see that his books are entertaining, but I dislike the fact that his books are often viewed as being "highly researched" while much of the information he uses is wrong. I can see how Twilight might lead to satire, but like the satire of Harry Potter, I wonder if it'll be succesful. There are so many that could be satirized! And I think to some extent books like Sense and Sensibility and Sea Monsters are send ups on predecessors such as Pride and Prejudice and Zombies. I have to agree with Memory and Iris on the Dan Brown thing! I've also never heard of Pamela or Shamela but it's an interesting story.! Oops, my biases are showing! Thanks for reminding me that I really want to read both Pamela and Shamela. I think I will make an effort to read them both over the summer. This is interesting ... I'd never heard of either of these novels. Interesting post, Cold Comfort Farm is another example where the satire has outlived most of what it was sending up (eg Mary Webb novels). Sorry to be pedantic, but for Richard Sheridan's sake I should point out he didn't write Pamela, Samuel Richardson did. Sheridan had a sense of humour, his plays are great! I think this is a great post, and as far as a book that I would target for satire, it would definitely be The Twilight series. I know, I am not original, but I just don't get the popularity or the drama of these books! My daughter has read them quite a few times, but I refuse. She continues to tell me how wonderful they are, but I just can't stop the derisive thoughts whenever I come across them. I also have not read Pamela, or Shamela, but they actually sound like books I would really like!! I signed up for the tour but have not heard back from you. Wanted to make sure that you got my note. I've heard of Pamela, but not Shamela. Is that weird? I'm not sure what I'd satirize. Like someone said, Twilight is an obvious choice. But maybe a political memoir or something would be fun - I hate almost all of those. Yes, you may want to change that detail - Pamela was written by Samuel Richardson. And, incidently, was one of the worst books I've ever read. Tom Clancy and Ernest Hemingway spring to mind as novelists whose parodists are sometimes more amusing than the originals. I read every comment posted on this blog, even if it sometimes takes me a while to respond. Thank you for taking the time and effort to comment here! Unless you are spamming me, in which case, thanks for nothing. Header art is "Girl Reading," used with permission by the artist Oliver Ray. Copyright ©2005-2017 by Aarti at BookLust. This post was originally posted by Aarti on BookLust. Simple theme. Powered by Blogger.